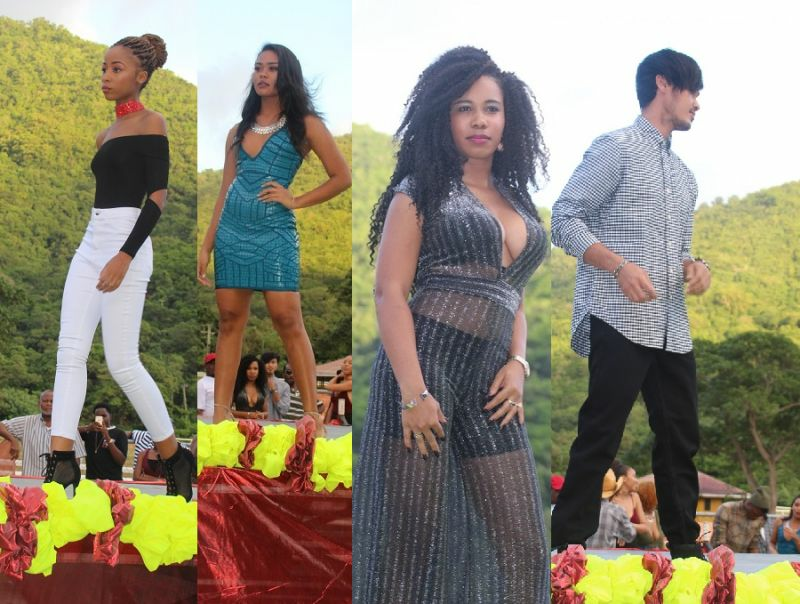 SEA COWS BAY, Tortola, VI- A fashion show was among entertainment given to hundreds of patrons decked in their Sunday’s best who flooded the gates of Ellis Thomas Downs in Sea Cows Bay for the annual Boxing Day races on a warm yet breezy afternoon on Monday December 26, 2016. Food and music were in abundance and the environment, still filled with the Christmas festivities, was the perfect place for a fashion show in between races. One Stop Mall showed off its colourful array of hats while Just Be You (JBY), located at the Tortola Pier Park (TPP), displayed its latest in hot outfits for men and women. Young designer Markita T. Turnbull-Smith also presented her work with African prints to the public. Other entertainment was provided by Jocelyn Sears aka Sistah Joyce, the reigning Calypso Monarch of the Virgin Islands, VIBE, and DJ Push Pop. President of the Virgin Islands Horse Owners Association, Patsy C. Lake told Virgin Islands News Online that it was a way of attracting people and filling the void in between races. “All these different things would attract more people to come. The models would come and their friends would come, and their friends, friends would come,” she said. I would like to get in contact with Ms: Turnbull-Smith. Her fashions can be highlighted at a show in Florida next year. It hardly has any place to go in the BVI, So if folks wanna dress their best for that day why is it a problem? Job well done to all who worked har ro make it happen. Good job guys! Markita Line is really nice. She should work on showing her line in the US. Now the other lines were a disappointment. You can get recess jeans and disco clothes anywhere. If you model low cut clothes, please make sure the Tatas is not going south. @fashion police, I totally agree, Markita's line is really nice and was well put together. The other lines were cheap knockoffs. They could have at least use body tape to keep like you said, the TATAS from sagging South. She wan to be seen man. Would appreciate Ms. Turnbull-Smith's contact. Would like an up close and personal look at her line. Thanks. If the clothes are so cheap why are we always bawling that things are so expensive in the BVI. That's why the merchants have a right to put the prices on their stuff really high because they well know the mentality of BVI people.